UK's cheapest delivery prices, starting from as little as £1.99 exc VAT. 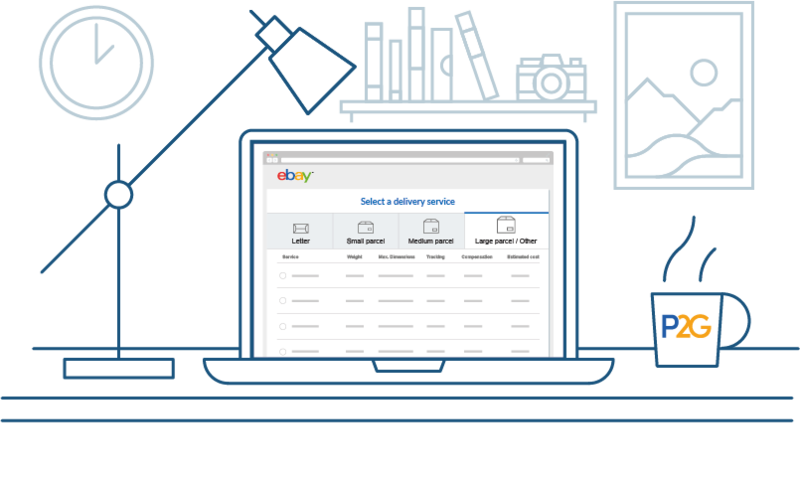 Easy integration with eBay, Amazon and other notable e-commerce platforms. You can also manage orders offline and upload them to Parcel2Go using a CSV spreadsheet, or by adding them manually. Click "Large Parcel / Other"
Scroll to the bottom and select "Other Courier" (3 to 5 days) or "Other 48h courier"
No one wants to spend time managing deliveries. Start using our bulk shipping tools today and discover a faster way to book. Link up multiple accounts from difference e-commerce platforms link eBay, Amazon and Shopify and manage them all from one place. Import your sold items from all of your accounts with a single click. All our bulk shipping tools are completely free to use. You only pay for your shipping costs. Set default couriers, item measurements and additional features like Parcel Protection with quick and easy editing of your imported items. Automatically receive all your parcel labels once you've booked and quickly download invoices for every order you make. Skip entering your payment details at checkout by paying in advance with PrePay. "Great choice of couriers with affordable prices and an excellent bulk upload service with makes life so much easier"
Click "My Account" and go to "Uploaded Items" and follow the on-screen instructions to start pulling through sold items into the shipping tool.